Hey everyone! 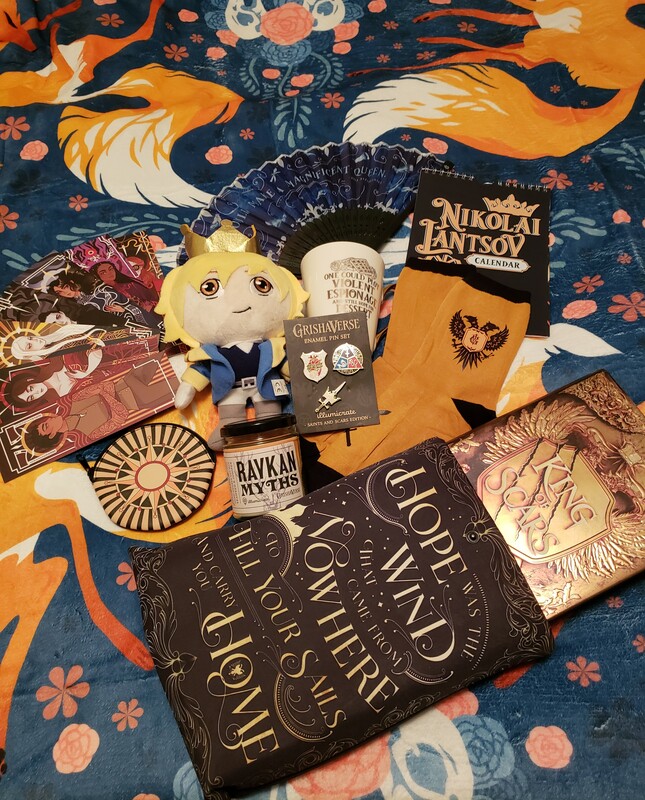 I posted a lil something on the Discord about the Illumicrate Saint & Stars box (Grishaverse themed, for King of Scars) and got a request to do an unboxing-type post here. So! First up, a full shot of the box contents! So quick list: an enamel pin set reppin’ Nina, Nikolai, and the Grisha orders; socks; Nikolai plushie and fanart calendar; Zoya quote fan; Nina (I think) quote mug; Genya pouch; candle; Grishaverse ladies bookmarks; exclusive edition of the hardcover book and a book sleeve…and a BLANKET (the photo background)! 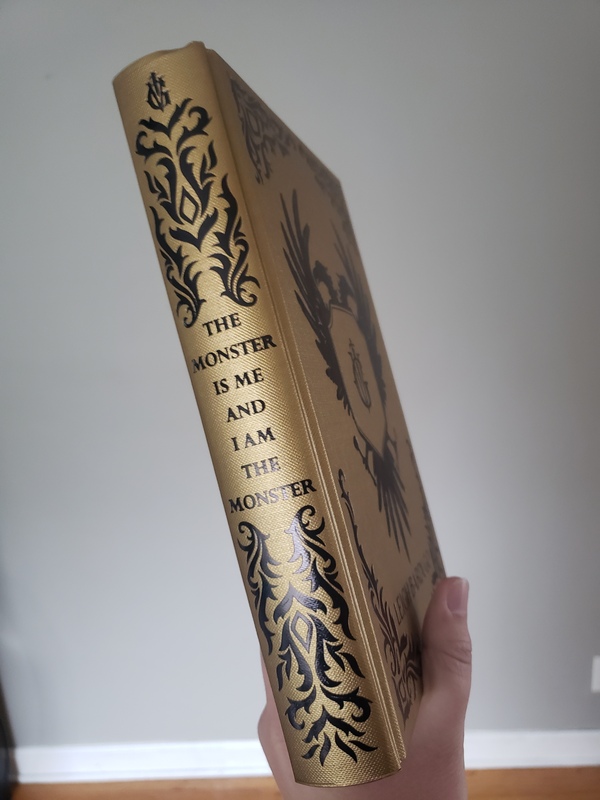 So…hopefully that allowed some vicarious living for the other Grisha fans here (and hopefully I didn’t post too many pictures for forum storage purposes). Thanks to my parents for ordering me this box for Christmas! 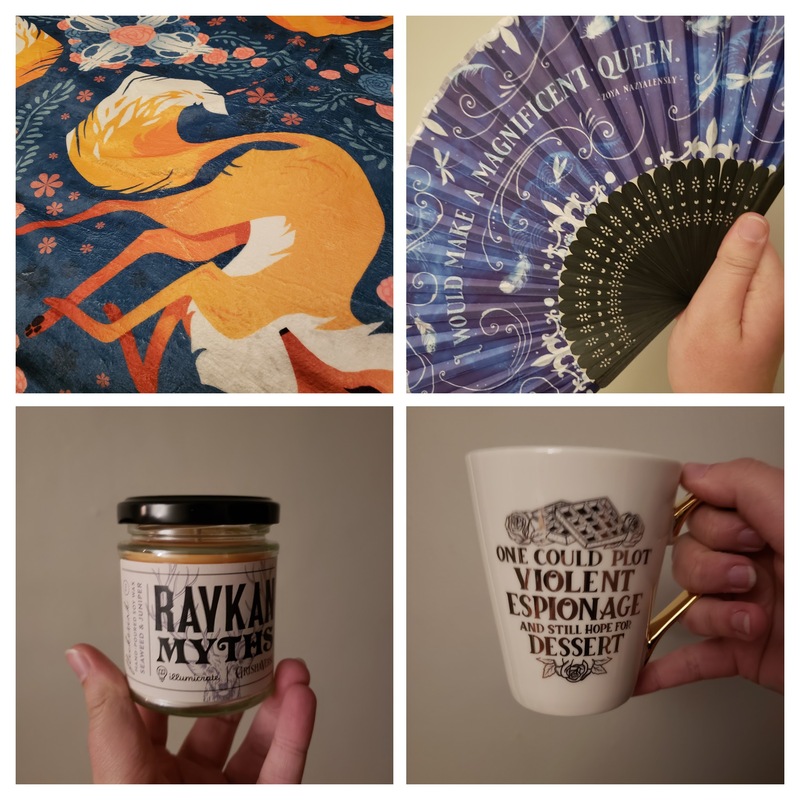 I’ve also bought two OwlCrate boxes so far…so going forward if I get any more maybe I can do some more unboxing highlights?? Thank you so much for posting this, and the photos are beautiful! So cool! Thanks for sharing Tink! I definitely want more unboxings - these look awesome! Especially that they managed to make it look lush (this gold) without feeling tacky! Wait can someone confirm that I should read Six of Crows and Crooked Kingdom before KoS? I’m planning on finishing up Ruin and Rising in the next couple of days and want to go straight to Nikolai (obviously ) but I’m getting conflicting reports over whether I should read the duology first?? Read the duology first! King of Scars is also told from the perspective of one of the characters from Six of Crows and there are major spoilers! oh man so much longer to wait but okay thanks!! !